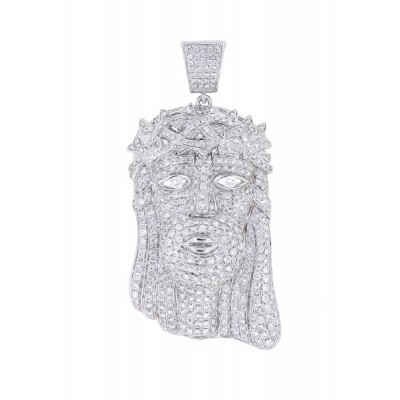 This Luxurious Hip-Hop jesus head pendant has a remarkable shine, truly a jaw dropper. If your living that flashy lifestyle then this is the pendant for you. Rafaello & Co. have catered a long list of celebrities with jesus head pendants, that’s simply because we are the best of the best. This Jesus Piece weighs in at 16.8 Grams in 10K White gold. Remember we can change the color of the gold to Yellow or Rose upon request. The round cut diamonds add up to 3.9 Ct of VS2 diamonds that shine bright! The Jesus Head Pendant measure 63mm in length ( right under 2.5 inches ).